Give a gift that they will really love and one that will stand out in their memories! When you’re looking for the perfect gift for someone, you don’t want to just buy them anything. 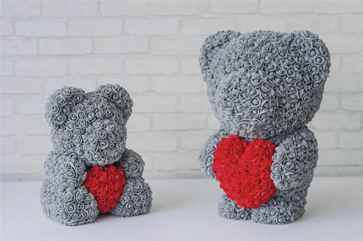 Our bears made of roses are truly special and unique as they are handmade and designed to be like freshly bloomed flowers. 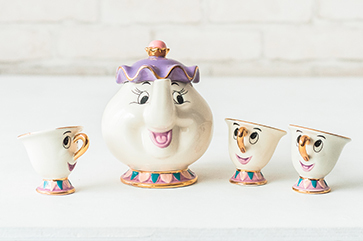 When you give these as a gift, your loved one will be so excited and will not be able to stop smiling. If you want them to feel adored and special, this is absolutely the gift for them. Our bear made with roses will travel anywhere worldwide in a short amount of time to make sure you get the right gift! These bears have been through a special gluing process with the handmade decorative roses to make sure they last for years to come. Hug them all you want, and you’ll still have an impressive gift that looks as detailed and adorable as the day you got it. We have a number of different colors and shapes, so you can get one for any special person in your life, boy or girl. Make them feel even more special with a gift box for the bear to arrive in. 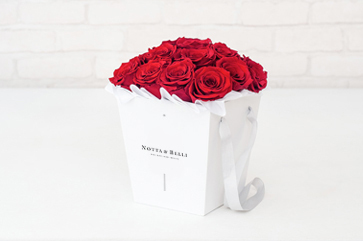 All of the bear’s roses are handmade with quality materials that are completely safe for all. The roses are tightly fitted to the bear to ensure it is completely and skillfully covered. If the bear gets dusty, simply wipe the dust off with a cloth, and it’ll be as good as new. The only rule with these bears is to keep them out of direct sunlight, and they will stay colored and sweet for years. Even if you’re not looking for a gift, you can still use our bear made of roses for a number of occasions. Photographers often use our bears as props to celebrate Valentine’s Day or especially for newborns. Our bears are made with incredibly soft and safe materials, so they won’t have any effects on babies, and they’ll look adorable cuddled up near it! Wedding decorators often use our bears as décor for someone’s big day, and they always go off with a hit! Decorate the gift table with a couple of these guys, and make everyone jealous with the amazing style. Even real estate agents use our bears when selling homes! 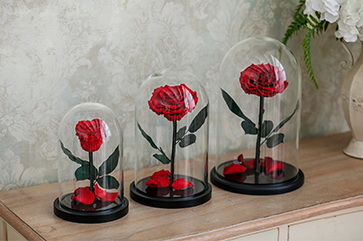 You have someone to come look at the house with kids, place these in what could be their room, and make them instantly wish the house was theirs. There are so many more things you can do with these incredible bears, and no matter what, when people see them, they’ll be impressed and want them, too!